The 1997 Premier League Cup winners. 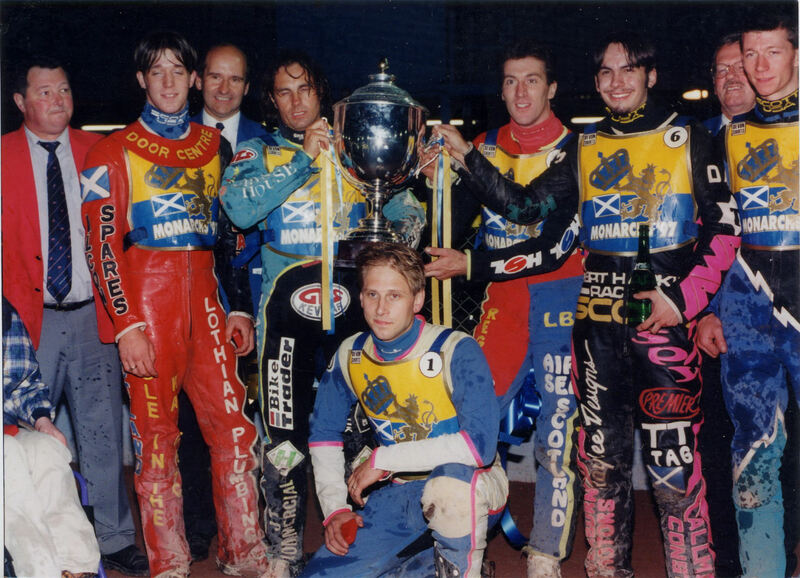 L to R: Neil Hewitt(seated just out of pic), Alan Bridgett, Blair Scott, John Campbell, Peter Carr, Robert Eriksson (kneeling), Kenny McKinna, Barry Campbell, Alex Harkess, Paul Gould. The trophy was presented by Terry Russell.